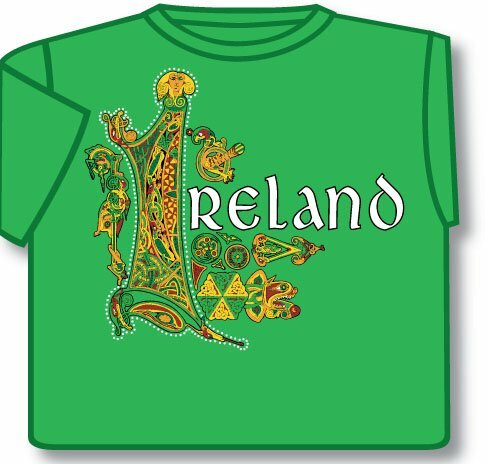 This Green Celtic Ireland Irish t-shirt is printed with the word "Ireland" with a beautiful Celtic design. Premium quality 100% cotton. Made In Ireland. Sizes S, M, L, XL and XXL. Unisex sizes. Choose a larger size if you are unsure.